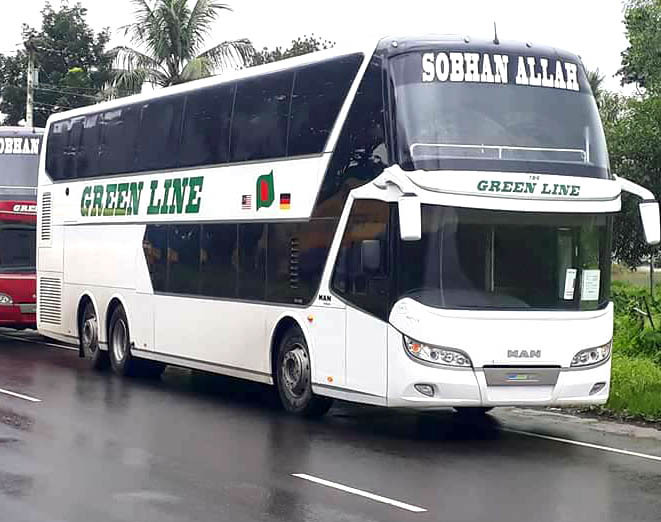 Green Line Paribahan introduces double-decker bus in Dhaka-Chittagong Route. The brand of these buses is MAN of Germany. Presently there are total 10 buses are available in the route. Every bus has 40 seats. In lower deck there are total 8 seats and upper deck has 32 seats.